Your goal is to find all mice and rescue them from the wolf's lair. Use the rope and sticking grappling hook to fly over the land. 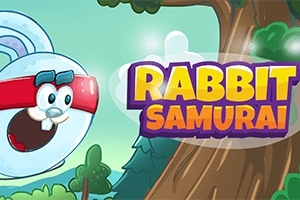 Launch yourself from the ninja cannon, collect all carrots and find hidden crystals. Avoid dangerous spikes!